KUALA LUMPUR — Japan’s Sumitomo Mitsui Banking Corp (SMBC) is looking to back a push by Japanese firms planning to invest in Malaysia’s Sharia-compliant halal market, an SMBC official said. “For the whole supply chain for the halal industry, there’s interest…That’s one area where SMBC is really focused on,” Gunji said. He declined to identify firms considering Malaysian investments, nor give details of how much finance SMBC might be involved in lining up. Gunji said SMBC will also focus on property and project financing in Malaysia, particularly big-ticket items such as the high-speed rail project between Kuala Lumpur and Singapore. Some Malaysian media reports have said the rail project could cost about 50 billion ringgit (£9.17 billion). Muslim-majority Malaysia aims to be a global halal hub by 2020, when the halal industry is expected to contribute 8.7 percent to the country’s GDP, according to government agency Halal Industry Development Corp. The global halal market, which has already attracted global consumer and cosmetics giants like Unilever PLC and L’Oreal SA, is currently estimated at $2.3 trillion, covering both food and non-food sectors, according to the agency. Gunji said SMBC, a core banking unit of Japan’s third-largest lender Sumitomo Mitsui Financial Group, was looking to expand its halal-related business globally after kicking off in Malaysia. 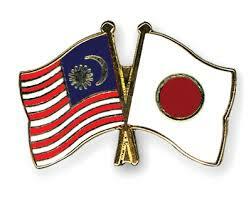 “First we are focussed on flows between Japan and Malaysia, and then we will expand to Europe,” he said. One reason for Japanese companies’ interest in the halal market is the summer Olympics to be held in Tokyo in 2020. “During the 2020 Tokyo Olympics, there will be many Muslim athletes and visitors in Japan who will be in need of halal-certified products and services,” Gunji said. Japanese companies may seek a Malaysian halal certified partner to sell products and services in both the countries, or Malaysian firms could expand their services to Japan, he said.